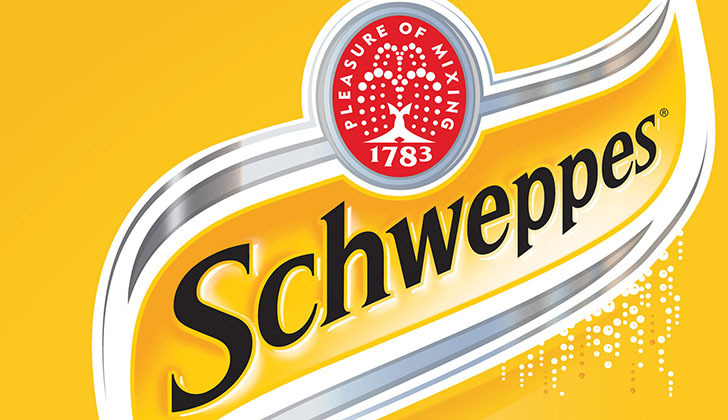 Schweppes Holdings Africa Limited (SHAL) is the holding company for Schweppes Zimbabwe Limited (SZL) whose core business is manufacturing, sales and distribution of beverages under license from The Coca-Cola Company. SZL manufactures and distributes Mazoe range of cordials, Minute Maid juice drinks, Bonaqua and Schweppes bottled water brands. Directly and indirectly imported raw materials (packaging, concentrates) constitute average 40% of final product cost for our range of beverages. Significant support has been received from our banking partners since 2016 in terms of foreign currency allocations for payment for imported raw materials that has enabled the business to maintain production and market supplies. The allocations received during 2018 are however inadequate to fully satisfy demand for our beverages during the peak summer demand season from September to December. The recent panic buying in October 2018 depleted raw materials and finished goods inventories resulting in supplies to both our domestic market and export market falling short of demand significantly. In order to increase foreign exchange earnings and with competitive pricing made possible by export incentive from the Central Bank, SZL resumed exports of cordials and juice drinks into regional markets in 2017. Export volumes and revenues are growing appreciably to approximately U$750,000 monthly-but are still inadequate to meet monthly imported raw materials total requirements of U$2,5 million for our beverage business. The domestic market will account for 95% of total beverages output whilst export market volume will account for 5% of total output for 2018. Owing to the foreign exchange constraints, we anticipate continued gaps in production, supply and availability of our products in the market and we ask our customers and consumers to bear with us as we work with our banking partners and local and external raw material suppliers to normalize supplies. In October 2018, in the midst of panic buying and market chaos, SZL supplied 90% of its total beverages output to domestic market and maintained wholesale and recommended retail pricing of all its products at pre-October 2018 levels. 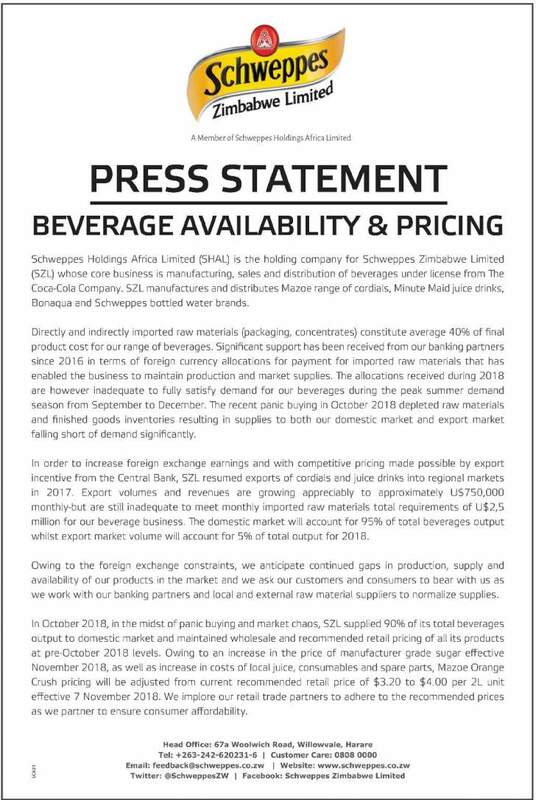 Owing to an increase in the price of manufacturer grade sugar effective November 2018, as well as increase in costs of local juice, consumables and spare parts, Mazoe Orange Crush pricing will be adjusted from current recommended retail price of $3.20 to $4.00 per 2L unit effective 7 November 2018. We implore our retail trade partners to adhere to the recommended prices as we partner to ensure consumer affordability.